The Sydney based airline named the service “Off Airport Check-In Solutions (OACIS)” which makes use of Amadeus’ Airport Common User Service cloud technology to allow passengers to check in, receive their boarding passes with seat allocation, purchase ancillary services and drop off baggages. The latter would be transferred directly by the airline’s shipping partners to the correct flight. The new service will be trialed at Sydney’s two major cruise ship docks: Overseas Passenger Terminal and White Bay Cruise Terminal at an unannounced date. These two locations are ideal to serve the trial as more than 300 cruises with over 500,000 passengers are operated out of the city annually. Less to carry around on the way to the airport. This is especially useful when travelling with many pieces of baggages. More time to enjoy local offerings prior to departure to the airport. More time to spend at airport lounges or use amenities (e.g. restaurants, spas, observation decks) prior to boarding. Deploy an agile and flexible service as required to manage customer expectations. This is especially important when there is an airline service disruption (e.g. The airline can inform any delays to the customer sooner and provide appropriate compensation prior to airport arrival). Manage its flight operations with more accurate real time information on customer loads and baggage information. The airline can track and load baggages sooner leading to less losses and compensations. Engage the customer sooner with live travel information and ancillary product offers (i.e. lounge access, cabin upgrades, food upgrades, airport amenities and other priority service items, etc). All offers and purchases data can be collected to build a more personalization experience based on customer commonalities (e.g. class of service matching, offer success rates, and pricing, etc). Offer new business opportunities with airline partners like Delta Air Lines by extending this service to their passengers on codeshared flights. The airport authority can use this new service to engage customers sooner with an appropriate array of service (e.g. spa treatment bookings) and product offerings (e.g. restaurant reservations, shopping tours, lounges). The key is to remind the customers that their journeys to one destination is not over until they board. 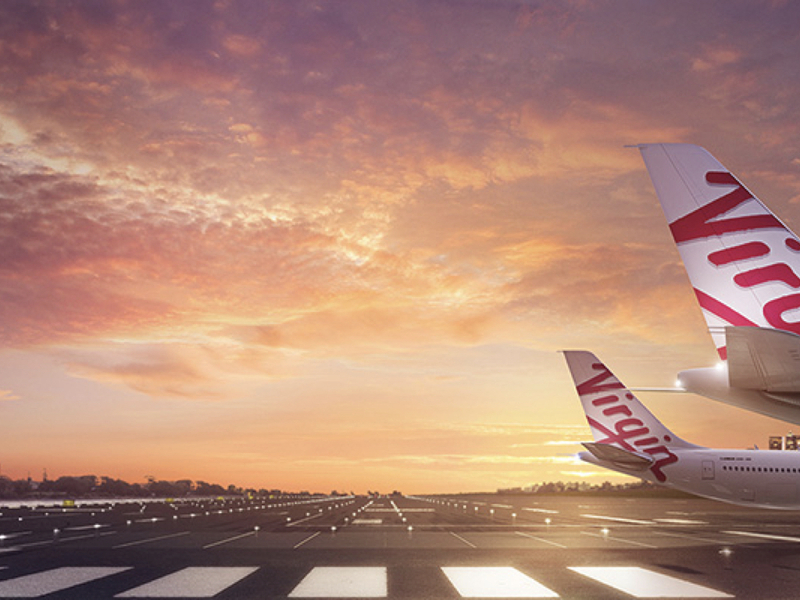 Virgin Australia’s key rival Qantas Airways and its subsidiaries have not announced a similar service initiative as of February 2018. Airlines and airport authorities have been offering this service at major airport express train stations with Vienna (with Austrian Airlines only), Hong Kong, Kuala Lumpur and Bangkok serving as city examples. Lufthansa partners with train operators to allow customers to purchase one ticket with an air/train combinations. This allow customers to check in earlier and drop off their baggages conveniently when arriving at Frankfurt Airport Station. Customers staying at Disney Resorts can check in and drop off their baggages on site with Alaska Airlines, American Airlines, Delta Air Lines (U.S. Domestic Flights Only), jetBlue Airways, Southwest Airlines, and United Airlines as part of the Disney Magic Express service. 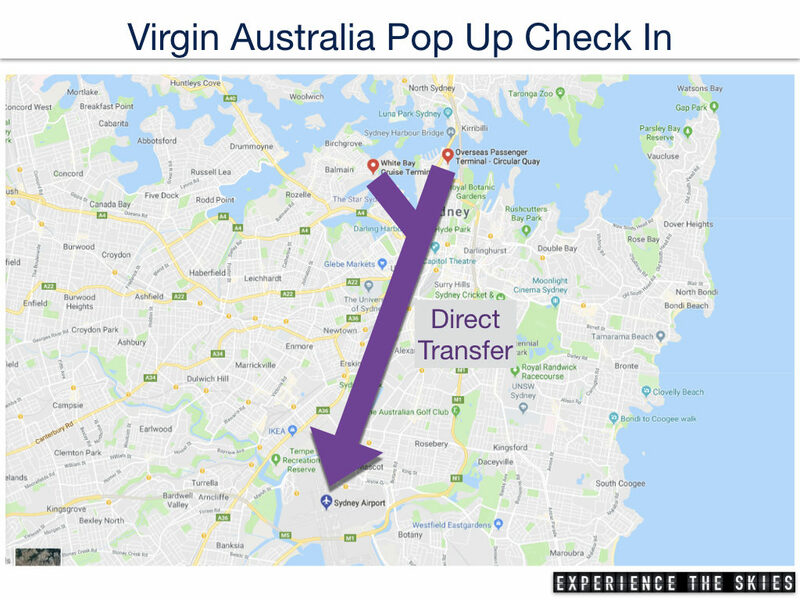 Based on the outcome of the trial, Virgin Australia can form new partnerships with airline partners, cruise lines, train operators, hotels and tour operators to build and operate these pop up check ins. This would improve the airline’s non-aeronautical revenue from fees collected, additional service rendered and customer data sharing when used in conjunction within the block chain model (Refer to Blockchain And The Airline Industry – Part 1 for additional information).